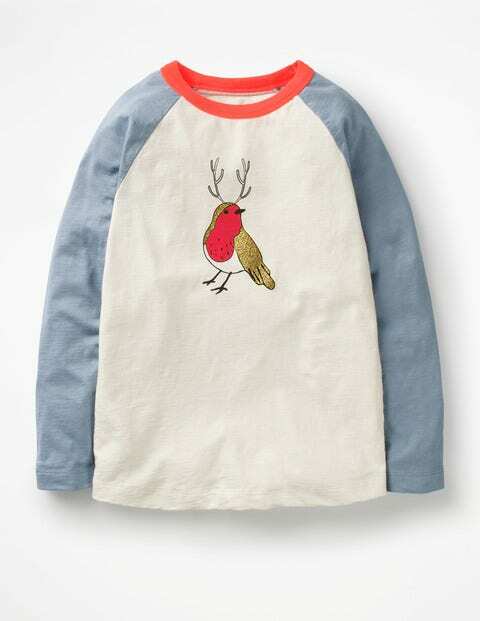 When sporty meets Christmassy, the result is this raglan T-shirt. Cut from soft cotton slub, the top has a contrasting neckline and sleeves. We decorated the front with cheeky festive motifs, and sprinkled them with glitter and pops of neon. And now, for the festive events – husky sledding and ice-skating, anyone?